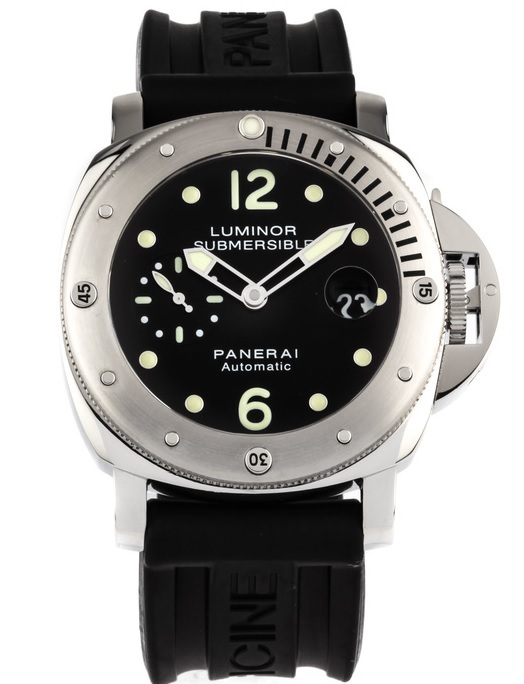 The Panerai Luminor Submersible Acciaio PAM 024 features a 44mm stainless steel case surrounding a black dial on a black rubber strap with a stainless steel deployant buckle. Functions include hours, minutes, small-seconds and date. 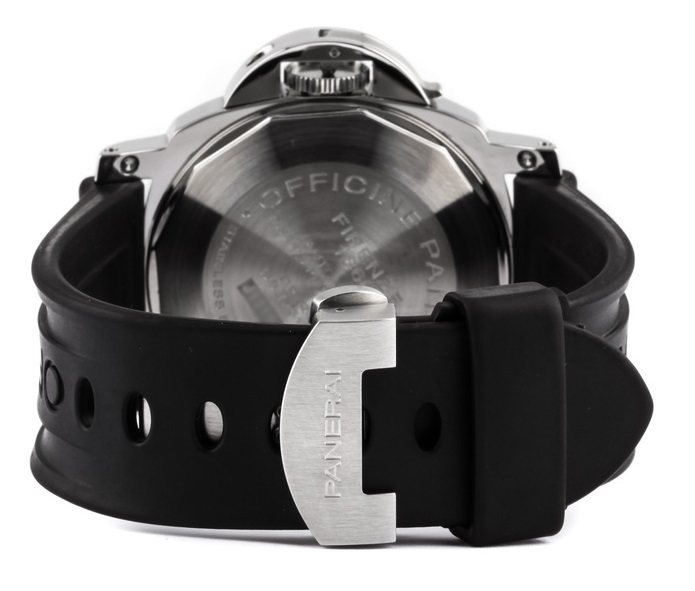 The watch also measures 15.6mm in thickness and 53.5mm from lug-to-lug. I'm sold. There's room in the watch box. Like contrasting finishing on the case and bezel. Good looking and quite functional timepiece. 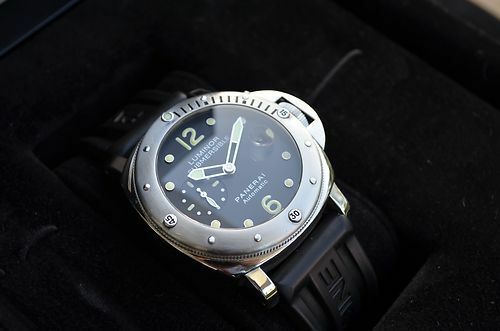 Panerai is one of my favorite brands. NOT FOR SELF BUT FOR COUNTRY! 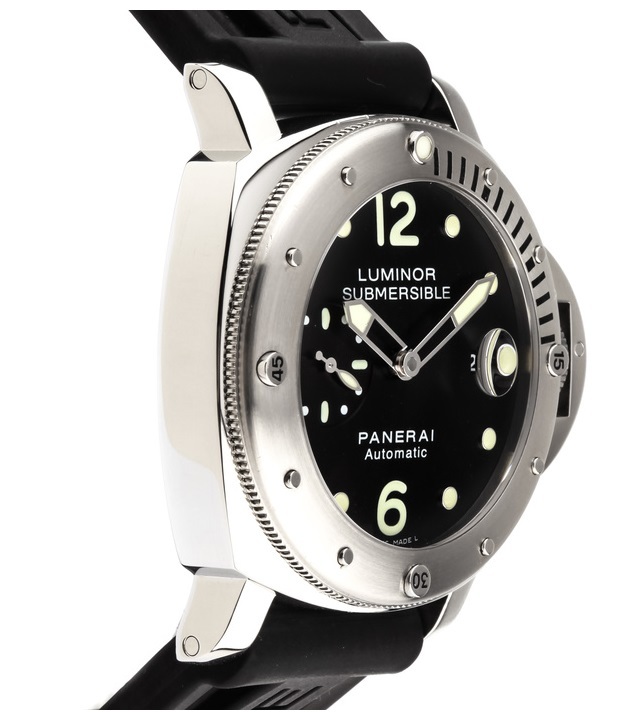 The PAM submersible is rugged good looking. ​A very handsome, and impressive looking time piece, indeed. Thanks Mike. Thanx for the heads up. 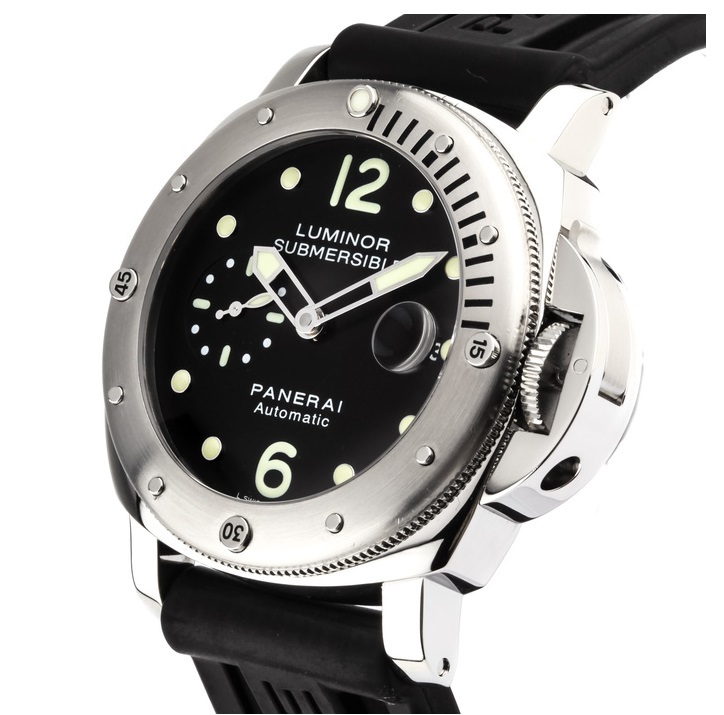 I saw some big personality once in a watch article and they had a row of Panerai watches with the cases lined up. I think that it was in his dressing room. He must of had about 10 - 15 watches. I don't remember who, but I don't think that it was Bruce. Talk about loving a particular brand, wow.